Gone are the days of laborious travelling and scheduling. Work wise limiting ourselves. And social networks sacrificed on the altar of work demands. Over the last year my travel has increased, I am stuck in pockets of waiting time and that would have immediately translated to non productivity. It is now time to transform—use technology I know I work on my blogs as wait for my daughter to finish her class. I receive my patients X-ray the minute it is done, which allows me to schedule the next appointment without having to call up my receptionist or ask the patient to call back. There are times when schedule a Skype appointment for counselling. There are times when I have just opened my kindle app. To read whatever I want. The greatest advantage being with the 10 hr battery backup I do not need to find plug points or carry accessories. The size is so convenient I can indulge in my sin of crazy bags without having to worry about the laptop fitting. It’s time to transform, to grow, to experience my potential at my time at my location. As I surf for a convenient gizmo to fit my needs here what I came across– Asus has just announced its new product. Windows 2-in-1 laptop with a detachable android phone. For a techno-illiterate like me it sounds great. It’s a 12.5 inch tablet/laptop hybrid that has an 8.1 brain, (please don’t ask me to elaborate, as far as go, Einstein’s 12 something weighing brain was awesome with 8.1 we are getting closer.) It runs on Intel core architecture. When docked the phones android interface is displayed within windows 8, it also be switched to full android tablet interface. In effect it gives 5 modes, a windows tablet, a windows laptop, and android phone, an android tablet and an android laptop this gives it the name Transformer Book V (pronounced five). 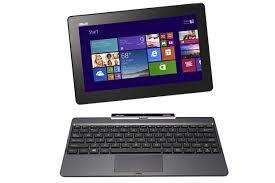 The tablet weighs about 0.8 kg, 12.5 inch HD IPS display, 4GB RAM and 28 WH batteries. It claims to allow 10 hrs of web browsing. The packs a flash storage space of 128 GB, that works alongside with a 7mm hard drive up to 1TB in the battery less keyboard. When manifests a phone, we are looking at a 140g, 11mm-thick package with 2500 ah battery plus 2GB RAM and up to 64 GB storage spaces, and a camera of 2/MP. What keeps me hooked on to technology even when I am on the move. It is catching up books, work, and friends.